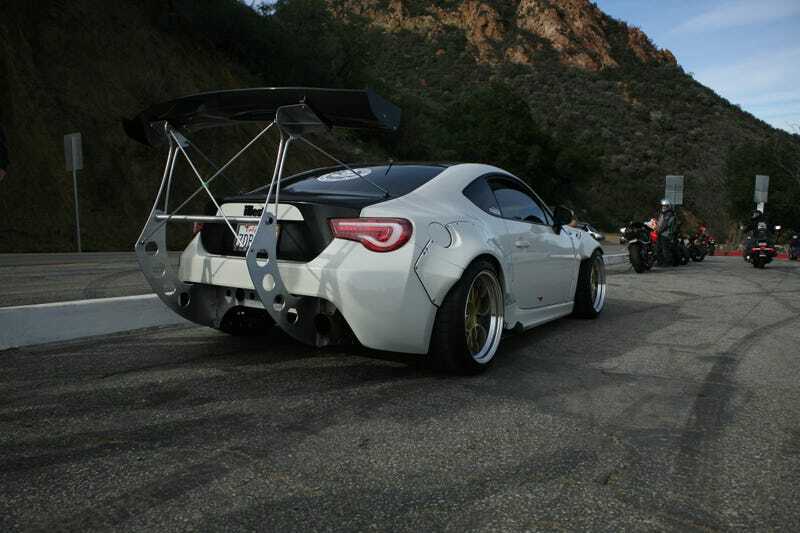 Remember this post from yesterday about the FRS with a wing? I was up on the Snake today and GUESS WHAT SHOWED UP!?!?!?!? THAT VERY CAR!!!!! It's actually pretty well build in person, minus the zip ties. "Hey bro, I think you backed over some scaffolding"
The owner, however, did say "Nah, my homie builds the wings. I can hook you up with him."